Grot mega-tank is coming together nicely. It took quite a lot of prep work as Forgeworld stuff is quite infamous for large blocks of resin you have to chop off and there was a lot of filing and cutting to do before parts were ready to be washed and then assembled. Apart from that gripe though cast is really good in most places, only couple of spots had excess resin that had to be removed with some difficulty due to where it was. Level of detail on the model is really nice. 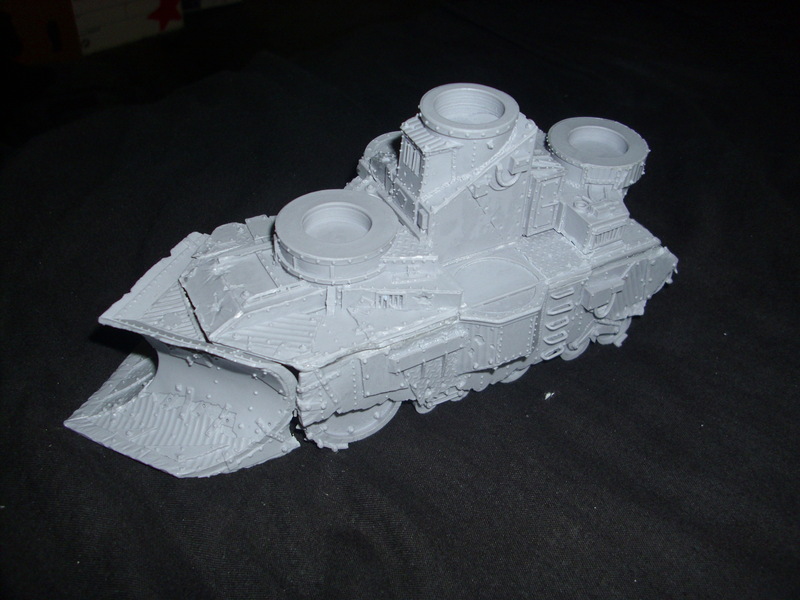 Individual parts don’t always fit together very nicely, which is not a problem on an ork vehicle, but can be an issue if you have for example eldar models. All in all I love it though. There were two parts missing from the kit, so I had to ring FW customer service. 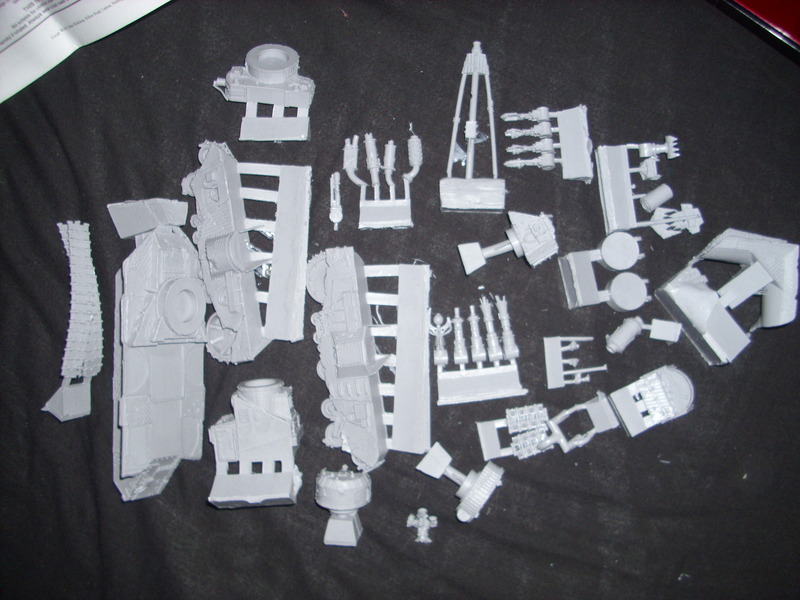 Luckily they are arranging shimpment of replacement parts, so I will be able to proceed soon and start magnetising all turrets and weapons. I wish it cam with bit more bits to arm it and to do a set up I want for the tournament I will have to improvise a little bit, but still as I said before, great model.